Graduating senior Jordan Bormann, a biology major from Parkston, South Dakota, will miss Commencement on Saturday because she'll be competing in the NCAA DII National Golf Championship in Findlay, Ohio. 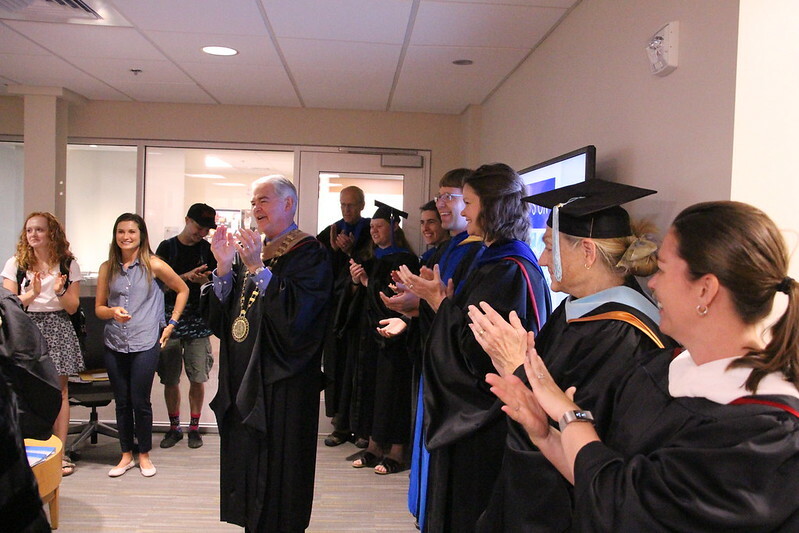 So, AU officials and faculty and staff from the biology department organized a mini commencement for her on Monday inside the Froiland Science Complex. President Rob Oliver and Registrar Joni Krueger were on hand as well to present Bormann with her diploma before members of her family and coaches from the Augustana women's golf team. Bormann is bound for the Sanford School of Medicine at the University of South Dakota this summer. Augustana's Commencement ceremony is 2 p.m. on Saturday, May 20, at the Sioux Falls Arena.